This article contains a paragraph cut from the originally published version. All 177 foreign embassies located in Washington, D.C. are no doubt attempting to read the tea leaves and figure out what President-elect Donald Trump's foreign policy will look like. But his inconsistencies and contradictions render this nearly impossible. Don't aspire to fix the Middle East, but also don't retreat into isolationism. Therefore, rather than speculate, I'll focus on what U.S. policy in one region, the Middle East, should be, starting with some general guidelines and then turning to specifics. Given that this is perennially the most volatile area of the world, the goal is modest: to minimize problems and avoid disasters. The prior two presidents failed to achieve even this, and did so in opposite ways. George W. Bush tried to do too much in the Middle East: recall his goals of nation-building in Afghanistan, bringing freedom and prosperity to Iraq, establishing democracy in Egypt, and resolving the Arab-Israeli conflict – every one of which spectacularly flamed out. 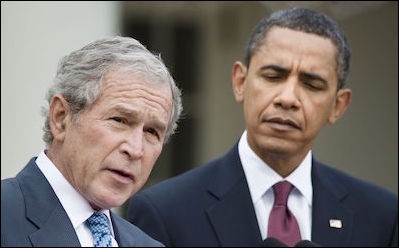 Reacting against Bush's "imperial overstretch," Barack Obama did the reverse, withdrawing prematurely from conflicts, drawing red lines he later abandoned, declaring a fantasy "pivot to Asia," and granting nearly free reign to Kremlin ambitions. America's future policy should find a median between these twin excesses: protect Americans, advance American interests, and stand by American allies. Don't aspire to fix the region but also don't retreat into isolationism. Make promises carefully and fulfill them reliably. Think before you leap. The new administration's greatest concern by far should be Iran. Applied to the Middle East, how does this common-sense approach translate regarding major problems such as those involving Iran, Saudi Arabia, Turkey, Syria, Egypt, and the Arab-Israeli conflict? Iran is overwhelmingly the greatest concern. The new administration should immediately and completely abrogate the weird non-treaty known as the Joint Comprehensive Plan of Action, a.k.a. the Iran deal. The president can unilaterally take this step and it should be followed by an ultimatum: unless the Iranians shut down their entire nuclear weapons project by a date certain, the U.S. government will accomplish this task on their behalf. 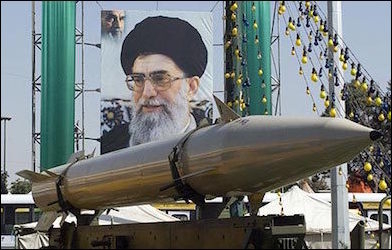 Only in this way can the Islamic Republic of Iran certainly be prevented from acquiring nuclear weapons, something imperative not just for Israel and other Middle East countries, but also for Americans, as Tehran must be assumed to be building an electromagnetic pulse capability that could destroy the U.S. power grid and lead to the deaths of 90 percent of the population. 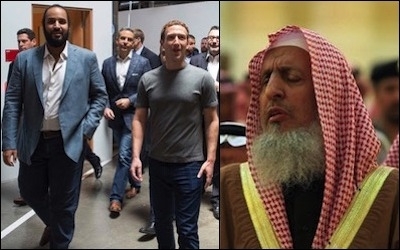 This year, Saudi Prince Mohammed bin Salman met with Facebook CEO Mark Zuckerberg, while the kingdom's grand mufti declared that it's "necessary to destroy all the churches of the region." The Kingdom of Saudi Arabia has long been a hostile ally of the United States, serving both as a crucial supplier of energy even as it sponsored an obscene form of Islam. Lately, Riyadh has taken on a new role, as the regional leading power standing up to Iran, making the monarchy's security more important than ever to Washington. Fortunately, the younger generation of Saudi leadership appears willing to moderate the traditional Islamist aggressiveness were the U.S. government to push hard enough. While the Obama administration's once-active romance with Turkey's President Recep Tayyip Erdoğan has slumped to its demise, Washington nonetheless pretends that Ankara remains a stalwart ally, publicly ignoring that the government has turned into a hostile dictatorship with growing ties to Russia and China. Turkey's President Recep Tayyip Erdoğan must change course or lose American support. 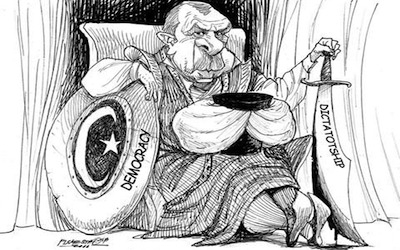 The make-nice school of diplomacy having clearly failed to arrest Erdoğan's ambitions, the time has come to make clear to the Turks how much they will lose in terms of trade, military assistance, and diplomatic support unless they quickly change course. Obama's indecision in Syria results from the hostility and repulsiveness of three out of the country's four main actors: the Islamic State in Iraq and Syria (ISIS); the Turkish-, Qatari-, and Saudi-backed Sunni Arab rebels, mostly Islamist; and the Assad regime, backed by the Iranian and Russian governments. Only the Syrian Democratic Forces (SDF), consisting of the mostly-Kurdish People's Protection units (YPG), are decent and friendly. In a near-Hobbesian state of all fighting all (except that ISIS and Assad steer clear of each other), the Obama administration cannot find a policy and stick with it. Commendably, it helps the SDF, but the over-emphasis on destroying ISIS leads it to misbegotten alliances with Ankara, Tehran, and Moscow. Instead, Washington should assist its only ally while encouraging the other three actors to battle themselves into oblivion. Rather than punishing Egypt's Abdel Fattah el-Sisi, the U.S. must help him stay in power. 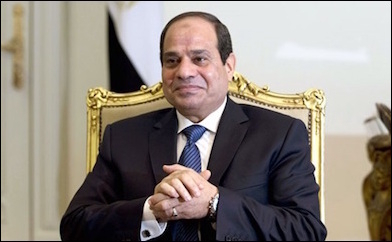 Insisting on the principle of favoring democratic leaders, even if dubiously elected and hostile, the Obama administration has, by withholding armaments and aid, sought to punish Egypt's Abdel Fattah el-Sisi for coming to power through a coup d'état. This gratuitous estrangement needs quickly to be changed so that Americans can help a barely-competent Egyptian leader stave off famine and defeat the Islamists, thus helping him to stay in power and keeping the Muslim Brotherhood out. The Arab-Israeli conflict, once the Middle East's most dangerous flash-point, has receded (at least temporarily) into the background. While low-level violence continues unabated, it has less potential to escalate in an era of Middle Eastern cold and hot war. The new administration must immediately signal that it considers Israel to be America's closest and most important Middle East ally; it should also abort the endless pressure on Jerusalem to make concessions to the Palestinian Authority. Better yet, it should discard the nearly-25-year-old pretense that Palestinians are Israel's "partner for peace" and instead encourage Israelis to impress on the Palestinians the need for them unequivocally and permanently to recognize Israel as the Jewish state. A simple policy of protecting Americans and their allies offers great opportunities to fix a legacy of ruinous bipartisan mistakes.